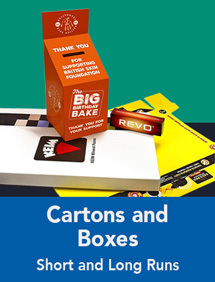 Great Value Printed Folders, Brochures, Boxes & More! Get a FREE printed proof with every order. Call us today for your free proof! A cost effective way of presenting your documents without compromising on quality. 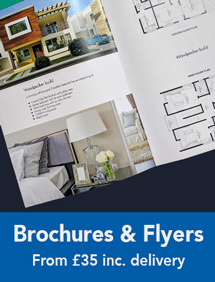 Super fast turnaround… we can produce your folders today for delivery tomorrow! Starting from £89.00 for 100. Our printed Document Wallets provide a secure, yet appealing way of holding important documents. 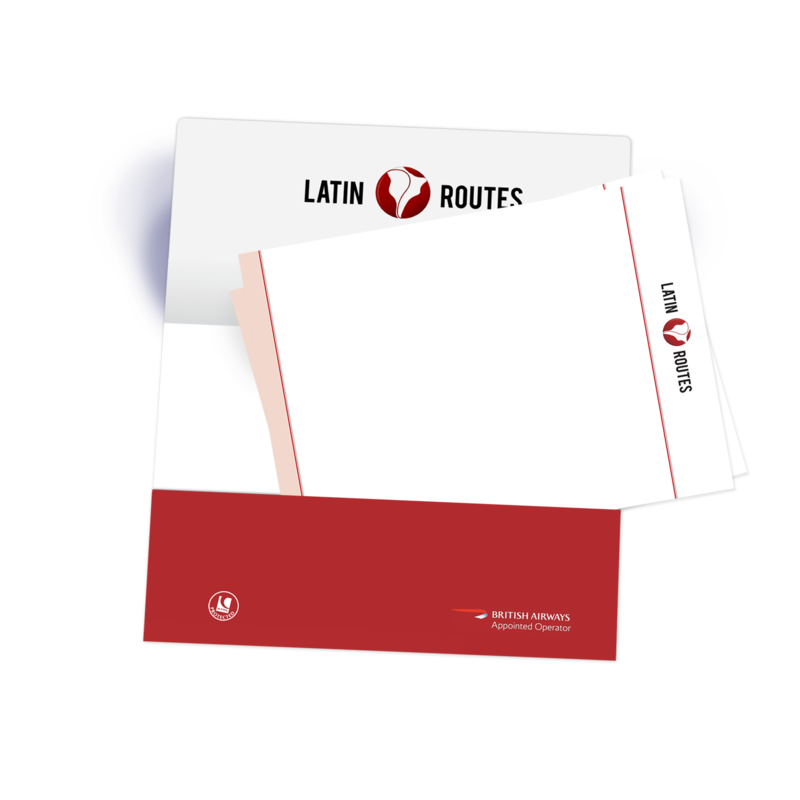 Ideal for educational establishments, the legal and financial services professions, travel agencies, and project presentation. 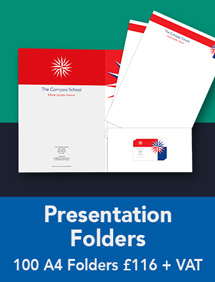 Our Standard Folders are a simple way of providing a lasting impression across all industries, institutions, or events; from schools to businesses, and to conferences and meetings, you’ll be sure to find what you need. A4 and A5 Portrait/landscape, square shaped or special sized…. you choose! And we securely bind from 48pp – 360pp for short and long runs. Designed to your specifications, our bespoke in-house manufactured products can be ordered in short or long runs to suit. 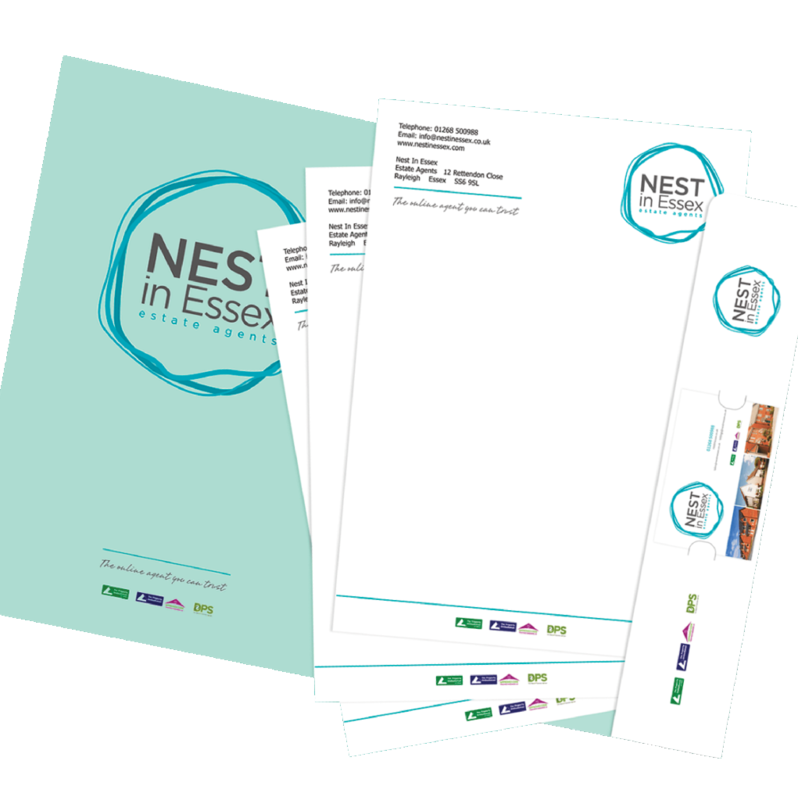 Your folders are printed on the finest 350gsm card, and our standard turnaround time is just 3 – 4 working days from approval of proof thru to despatch. If you’re working to a very tight deadline- please call us because it’s even possible for short runs to be produced and despatched on the same day! 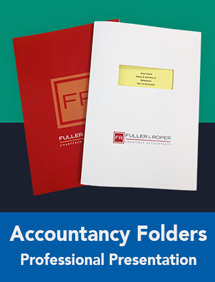 Allow us to help you with all your folder printing needs! Options include printing your logo and contact details on the pocket and print on the inside pages too if required. Add matt or gloss lamination to enhance your project if you’d like that extra special touch. 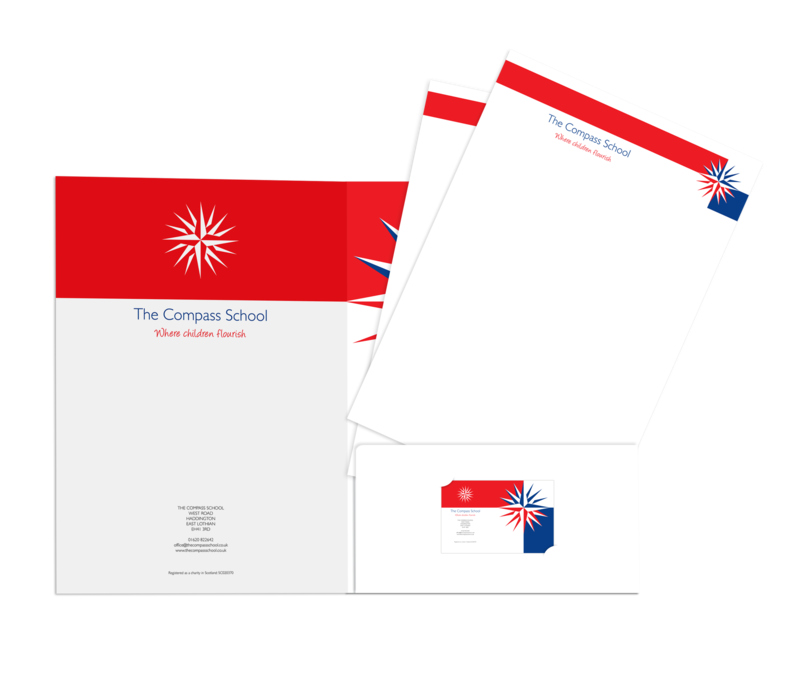 Our A4+ Document Wallets will hold 15 sheets of A4 80gsm paper, and the option to select a 5mm capacity version which can hold 40 or more sheets is also available. 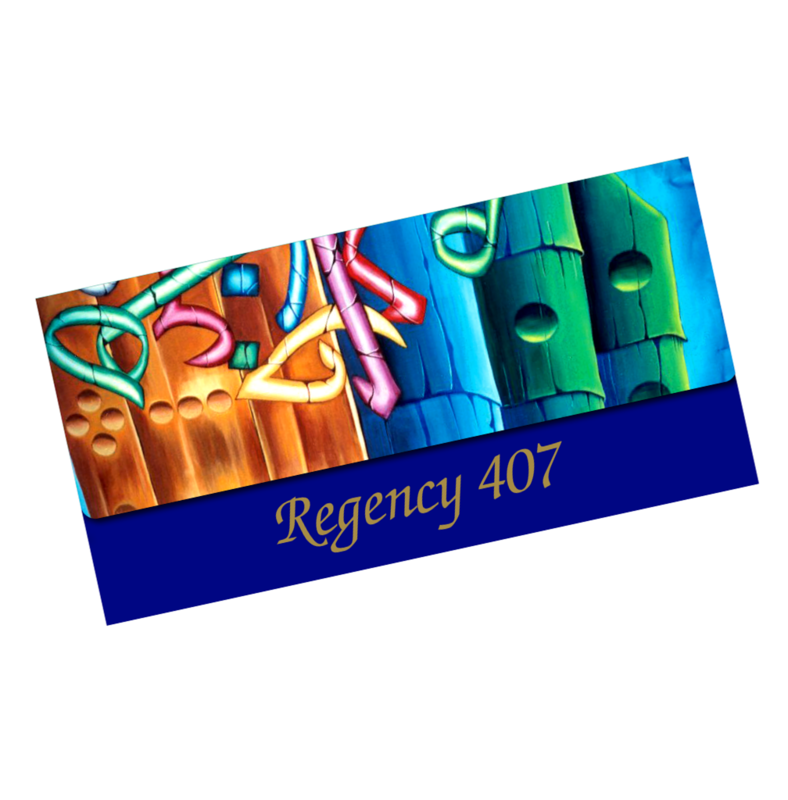 We use sturdy 350gsm silk card which can be matt or gloss laminated if required. 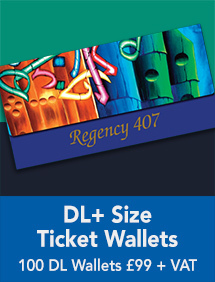 Choices included Business Card Slots on the Pocket at no extra cost. And for a small extra charge, you have the option to add colour print to the Pocket or throughout. 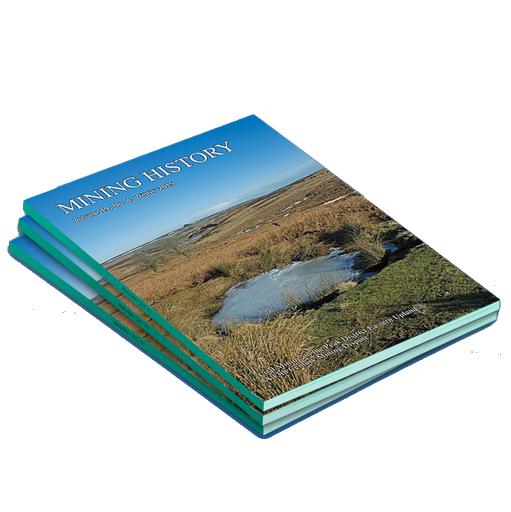 Designed and made-up by us or from your Artwork files supplied, we can produce your hard back books, perfect bound manuals and catalogues in short or long runs to suit. 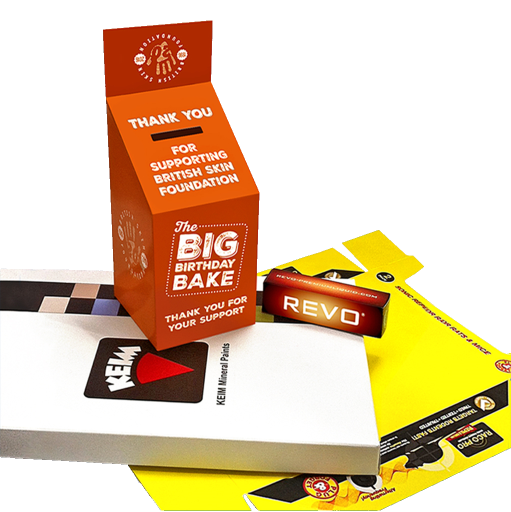 Cartons, Boxes, tent cards and POS display trays- whatever your project design, run length or deadline… get in touch! 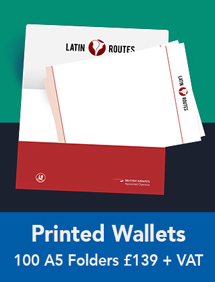 Budget Folders provides the best premium quality printed folders and wallets at the lowest possible price to give you the customer the best deal. We have an experienced team of designers and production staff who can guide you through the most cost and product effective solution. We provide our customers with a wide range of products and options so that you can achieve exactly what you want. 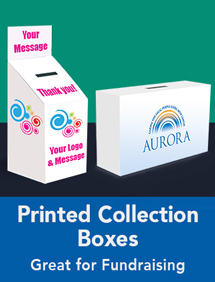 Our team can provide you with artwork for your folders or alternatively you can supply this yourself. We provide templates for all our products so that you can design it exactly to your taste! 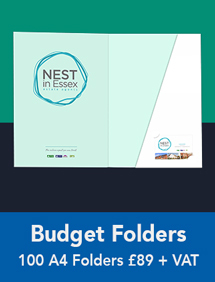 Don’t settle for any less than the top rated printed folders, Budget Folders has a proven track record of quality. & we won’t be beaten on price! Have a question? Just ask! Please call us on 01536 529911 or email us and we aim to get back to you straight away! We welcome any and all feedback, so leave us a comment or send us an email and let us know your thoughts! Order your printed folders now! 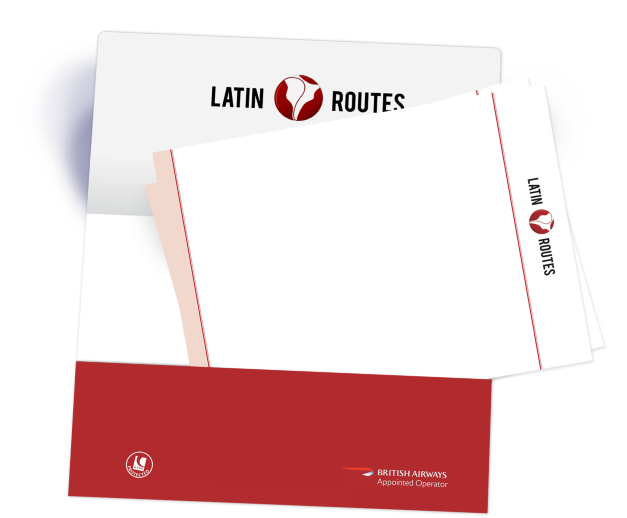 Choose your style, format and extras and we will get your folders started straight away.